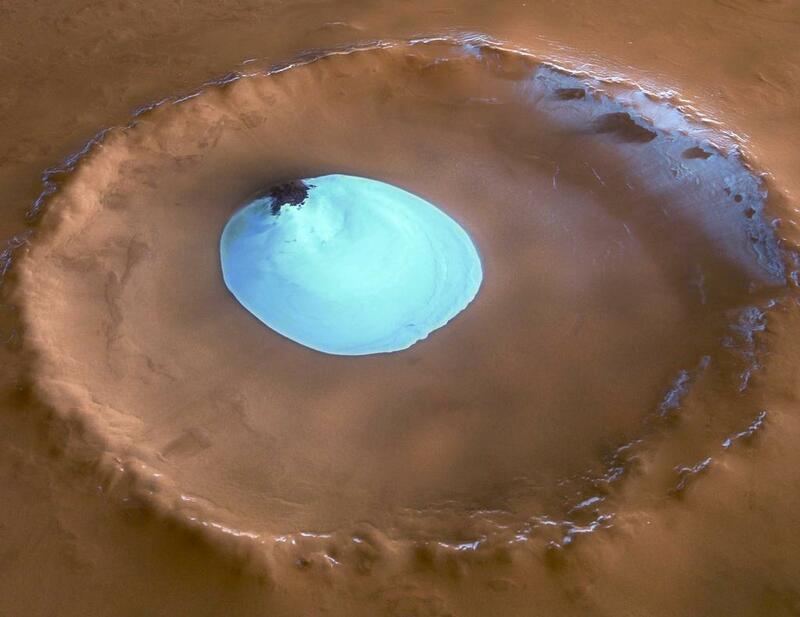 The European Space Agency's (ESA's) Mars Express obtained this view of an unnamed impact crater located on Vastitas Borealis, a broad plain that covers much of Mars's far northern latitudes. The circular patch of bright material located at the center of the crater is residual water ice. The colors are very close to natural, but the vertical relief of the topography is exaggerated three times. This patch of ice is present all year round, remaining after frozen carbon dioxide overlaying it disappears during the Martian summer.